Happy Thursday Team Stryker fans! I hope everyone had an amazing Christmas! 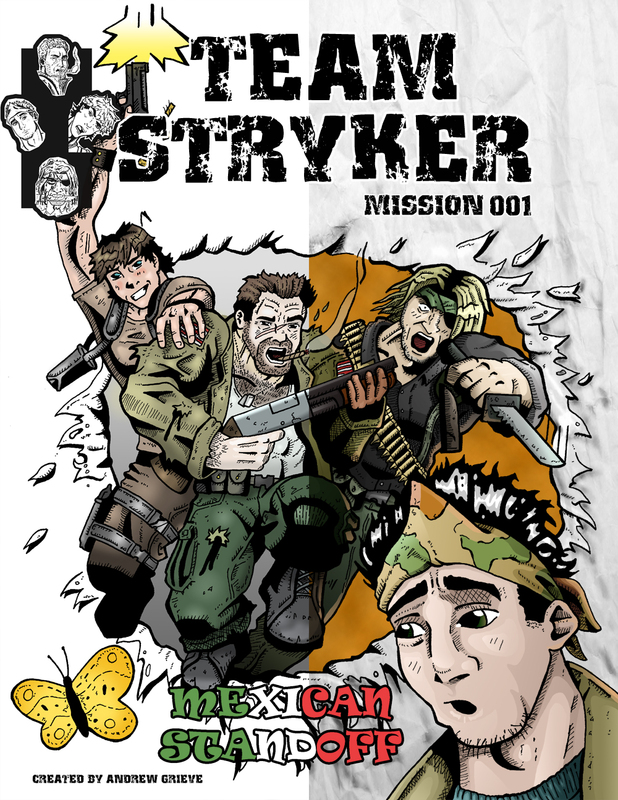 We are speeding towards 2013 and with that will come new pages to Team Stryker Mission 003! Just two more updates until you will see if Team Stryker gets themselves out of the Jurassic era. Until then I have created this comparison to show how Team Stryker has evolved. On the left side we have what TS looked like when I colored it back in 2008 and the right we have what TS looks like in 2012! Hopefully you can appreciate the evolution as I want TS to look its best because that is what you all deserve! If any of you talented (and even not so talented) fans out there would like to submit Team Stryker fan art or even possibly your own one page comic featuring your favorite webcomic super soldiers at andrew@teamstrykercomic.com as I will be posting fan submitted art between issues 3 and 4 and would love to see your takes on Eagleheart, Deadeye, Casanova and V-Scope. If you do submit something please send a small bio as well as your website so I can give you full credit for your works of art. Have a great Thursday and I will see you New Years Eve for the last update to Team Stryker of 2012! Can totally change the feel. So talented!